It’s easier, and more affordable than ever to design a kitchen with spice. 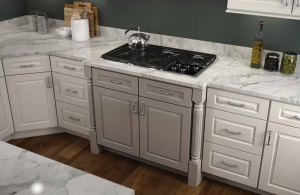 JSI is now offering a limited selection of doors styles and cabinets in today’s most popular accent colors. 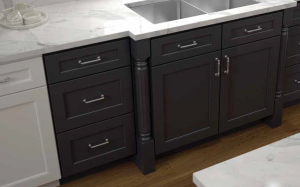 We have compiled a comprehensive collection of cabinets, end caps, posts and panels that can be combined in infinite configurations to create a unique focal point or island for every kitchen. Our new palette of accent colors are: Greige, Sage, Light Gray, Steel Gray, Dark Gray, Charcoal, Navy Blue and Royal Blue. 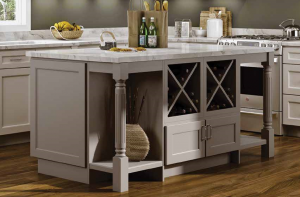 Now, do your thing – combine elements of cabinets and accessories to suite your taste, style, cooking habits and imagination. Just imagine the possibilities! Trenton Recessed Ivory Kitchen with a focal island in Light Gray. Yarmouth matching Ivory Kitchen with a focal point of Yarmouth Recessed in Greige. Trenton Recessed Ivory Kitchen with a focal point in Charcoal. Click here for the complete JSI Accent Colors Collection brochure.